With the increasing of wind energy, it is necessary to develop an energy storage system to level the wave of wind power, and to develop a fault current limiter for improvement of the LVRT capability of the wind farm. 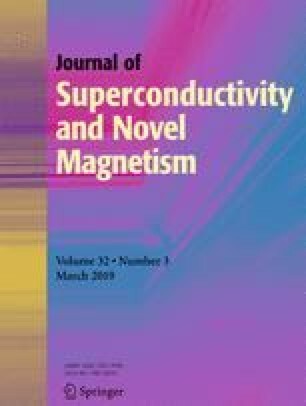 An innovative idea to deal with the above problem is to develop a superconducting fault current limiter-magnetic energy storage system (SFCL-MES). In this paper, we report the progress of the superconducting coil for a 1-MJ/0.5-MVA FCL-SMES system. The coil consisted of 46 double pancakes, in which 8 pancakes were made of YBCO tapes and the others were made of Bi2223 tapes; the inductance of the coil was 13.3 H, and its rated current was 388 A while the maximum magnetic field was 3.5 T. This coil had been used for a FCL-SMES system, which was installed and tested at a wind farm connected to the live power grid. This project was supported in part by the National Natural Science Foundation of China under grant nos. 51577181, 51721005, and 51477168 and by the Frontier Science Key Research Project of Chinese Academy of Sciences (QYZDJ-SSW-JSC025).